Nancy began her medical career working nights as a Hospitalist. 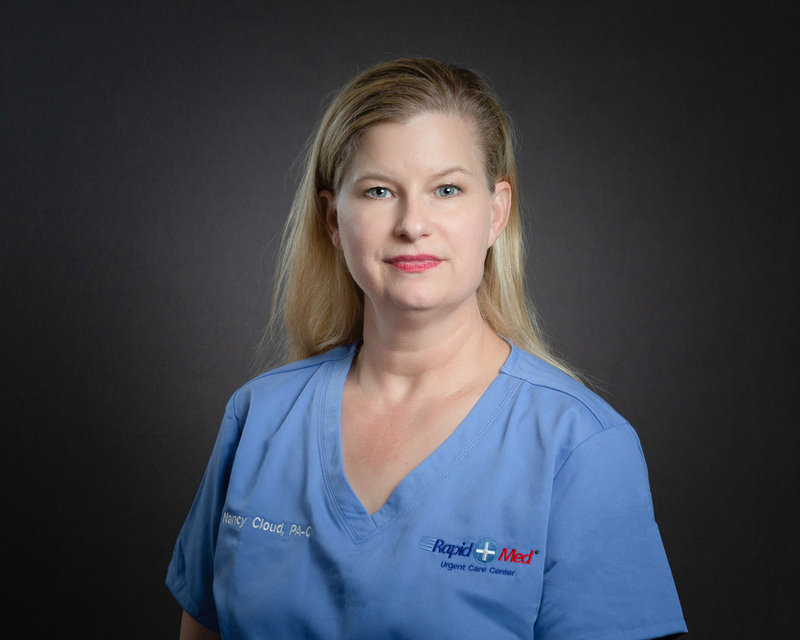 Her most recent position prior to working at Rapid Med urgent care center was in critical care and pulmonary medicine. Outside of her work, she enjoys showing horses. She competes on a national level showing American Quarter horses in ranch, reining, and cattle classes., testing the horses’ athletic abilities.